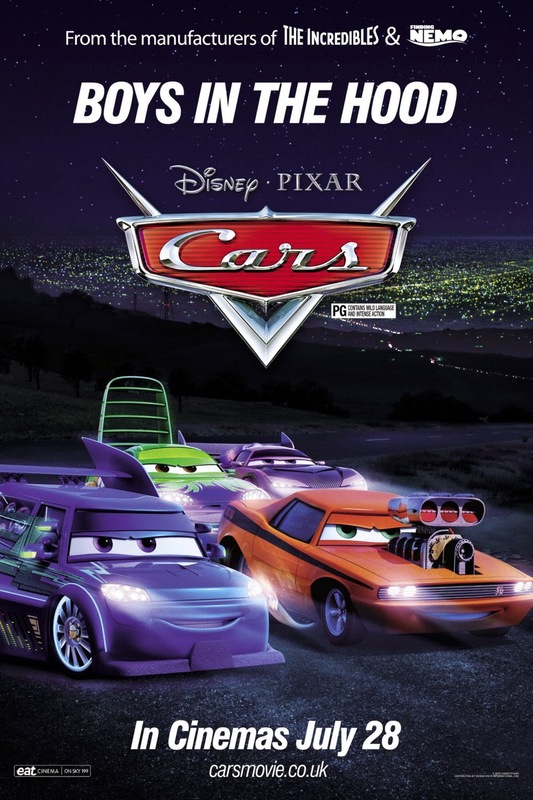 "Cars" (2006) is quite sophisticated for an animated Disney/Pixar movie aimed squarely at kids. Directed by old Pixar pros John Lasseter and Joe Ranft, it raised the animation bar to a new level. If your child decides to play this non-stop for a few months, you may wind up enjoying it enough to start watching the film yourself now and then. 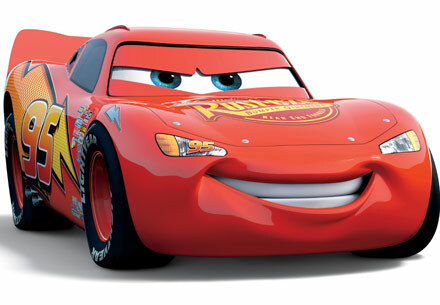 Simply put, this is an awesome animated film. I never would have watched it at my own behest because the ad campaign made it seem like a kid's film. However, somebody who is just obsessed with this film recommended it highly. Her excitement led me to watch it. I'm so glad I did. The graphics are just amazing. Compare this to, say, 1988's "The Land Before Time" and you will be just blown away. The cars are "people" that talk and do everything else that people do. Once you accept that, which might take a few minutes, then you can sit back and enjoy a truly outstanding tale about a hotshot race driver and how he learns some difficult but much-needed lessons about life. Now, the story isn't all that original, though it managed to keep me involved. 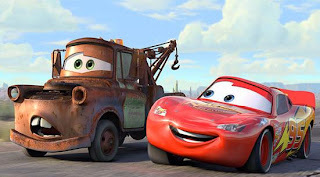 While traveling to California for the final race of the Piston Cup against The King and Chick Hicks, Lightning McQueen accidentally damages the road of the small town Radiator Springs (name most likely taken from Colorado Springs) and is sentenced to repair it. He has to work hard, but fixes things to the town's satisfaction. Along the way, he finds friendship and love in the simple locals. He changes his values during his stay in the small town and becomes a true winner. The execution is what reaches through the screen and grabs you and won't let you go. Some brilliant voice acting by Owen Wilson, Paul Newman and Bonnie Hunt (of all people) carries this film way past ordinary animation. 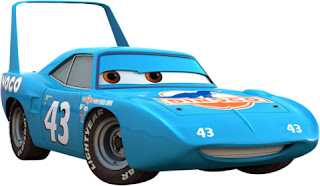 If you know much of anything about NASCAR or the history of auto racing in general, you will be shocked (as I was) by the attention to detail about racing cars of the past. That real-life "The King" Richard Petty himself gets in a few words here and there just adds to the majesty of this film. While the kids will like this film, the plot has a lot of adult overtones that should keep just about anyone interested. I actually cared about whether two animated cars would hook up in the end! I guess that's what they call suspension of disbelief. Anyway, it worked for me, perhaps it will work for you, too. 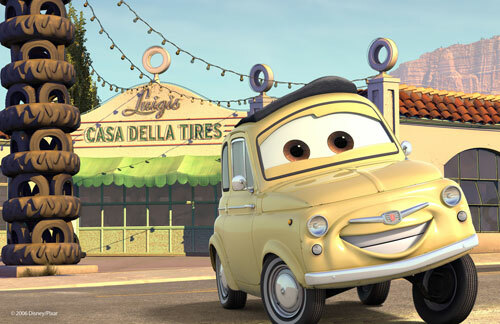 Probably the most enjoyable animated film I've ever sat through. 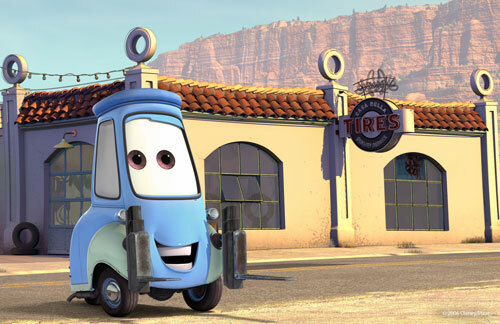 Below is the trailer from "Cars."